Refrigerant huffing is now the fourth most common substance abuse of teenagers. Its often-easy availability and quick high attracts youthful, naive experimenters. Refrigerant is the lifeblood of your central air conditioner and is installed in the system through ports in the outdoor compressor/condenser unit in your backyard. Removing a small amount of refrigerant through an access port and “huffing” (inhaling) its dangerous, toxic fumes produces a euphoric sensation. However, the consequences to the abuser—and to your air conditioner—can be severe. “Sudden high, sudden death” is a phrase used to describe the effects of refrigerant huffing. An abuser may experience a heart rhythm disturbance leading to an immediate heart attack and/or dangerously high blood pressure. Because an abuser frequently places a plastic bag over their head to inhale the fumes, sudden unconsciousness due to an abnormal heartbeat may be followed by suffocation from the plastic bag. Permanent brain injury and respiratory damage are also potential threats. When refrigerant is removed by huffers, damage to expensive components of the A/C may result. An air conditioner with low refrigerant operates inefficiently. The unit may run almost non-stop, using large amounts of electricity. This action not only increases your utility costs dramatically, but it also places extreme wear and tear on important parts like the compressor—the most costly component in the system. Lack of refrigerant may also cause the temperature of the evaporator coil to drop below freezing, turning normal condensate to ice. An iced-up evaporator coil will soon block all airflow and shut down the system entirely. Your professional HVAC contractor can install locking caps on the outdoor refrigerant access ports to prevent unauthorized removal. A proprietary key issued only to licensed contractors is required to remove the caps and the contractor—not the homeowner—maintains possession of the key. Many municipalities are now in the process of making locking refrigerant caps a requirement of local building codes. In the central Florida and Orlando areas, Rinaldi’s Air Conditioning has helped homeowners keep cool for over 42 years. Contact us now about safety measures to prevent refrigerant huffing in your neighborhood. 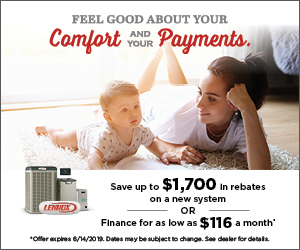 Our goal is to help educate our customers in Orlando, Florida and surrounding areas about energy and home comfort issues (specific to HVAC systems). For more information about refrigerant huffing and other HVAC topics, download our free Home Comfort Resource guide.